The pages in this section comprise a bibliography of the many articles which Harry Price contributed to various magazines, newspapers & periodicals over the course of his career, as separate from his published books and pamphlets. I have used the bibliography in Dr. Paul Tabori's Harry Price - The Biography of a Ghost Hunter (Athenaeum Press, 1950) pp. 306-311 as the basis for the list. Tabori as Price's literary executor had access to all of Price's papers while preparing his book and his bibliography includes both English & foreign translations. With the advent of internet auction & second-hand book websites such as eBay & Abebooks, copies of Price's books are now easier to come by than in the past, whereas his articles are still difficult to obtain. Visit the Harry Price Online Library to access complete papers and articles by Harry Price. To see what is currently available so far, click here. 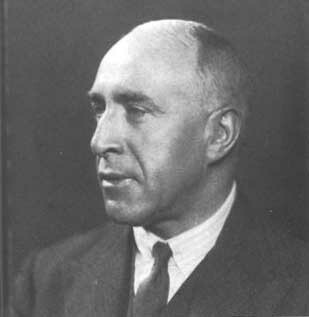 Harry Price's journalistic writings span two complete decades and cover almost the entire range of his many interests. According to his autobiography Search for Truth (Collins, 1942) he was first seen in print just after the turn of the century when two books he wrote on the coins of Kent and Shropshire were published serially in two newspapers, The Kentish Mercury and the Wellington Journal, starting in 1902 when Price was in his early twenties. He followed this with an apparent series of articles on antiquarian subjects which appeared in the Southern Weekly News in 1910 although these are not listed in the bibliography published by Paul Tabori in 1950 (see above) & need to be added to this section if the information becomes available. Several articles on conjuring & magical subjects appeared regularly in the early 1920s, all contributions to the Magazine of Magic, but it was his exposure of the spirit photographer William Hope in February 1922 that really began the career of Harry Price the psychic journalist. After his Hope exposure was published in the Journal of the Society for Psychical Research, Price began writing regular articles for the spiritualist newspaper Light, an association which continued into the early 1930s. An important event was the publication in 1924 of his report on the sittings held with the English medium Stella C the previous year, in the Journal of the American Society for Psychical Research. This resulted in his appointment in June 1925 as Foreign Research Officer for the American S.P.R. and the middle years of the 1920s are dominated by many contributions to the Journal of that organisation. January 1926 saw the opening of Price's own National Laboratory of Psychical Research in South Kensington in London to whose own publication, the British Journal of Psychical Research he also began contributing. The end of the 1920s saw several articles written for the New York based Psychical Research periodical as well as the beginning of Price's association with the British popular press, especially the Sunday newspapers, the Sunday Sun published in Newcastle in particular. The opening years of the 1930s saw a plethora of newspaper and magazine articles by Harry Price on a broad range of subjects including conjuring, mediumship and psychical research including his work with the Austrian medium Rudi Schneider, and Price's own book Leaves From a Psychist's Case-Book published in 1933 was given as a series of ten articles in the Sunday Dispatch newspaper between March & May of that year. In 1935 Price's interest in cinematography brought about his becoming the first Chairman of the National Film Library at the British Film Institute and making a contribution to the magazine Film Progress, the same year that his journalistic output was given almost wholly over to The Listener magazine published by the British Broadcasting Corporation which serialised his Confessions of a Ghost-Hunter book. Price also carried out the investigation of the Talking Mongoose case on the Isle of Man with the then editor of The Listener, R.S. Lambert in the same year. Price's journalistic writing during the 1930s was given almost completely over to the popular press, in complete contrast to the previous decade where he had written extensively for scholarly journals & associated publications. He finished the decade in similar vein with several articles for John o' London's Weekly, a periodical in which he organised a national telepathic test. Indeed, it was this publication which saw the close of Price's journalistic career as it featured the last of his articles, published in wartime in 1940. The next decade up to Price's death in March 1948 was completely taken up with writing the books which followed on from the October 1940 publication of his first book on Borley Rectory, The Most Haunted House in England, namely his autobiography Search for Truth (1942), the monograph Poltergeist Over England (1945) and his second and ultimately final Borley book, The End of Borley Rectory (1946). All original text, photographs & graphics used throughout this website are © copyright 2004-2010 by Paul Adams & Eddie Brazil. All other material reproduced here is the copyright of the respective authors.